Nothing is as comforting as a nice bowl of soup or hearty stew to warm us from the inside out. 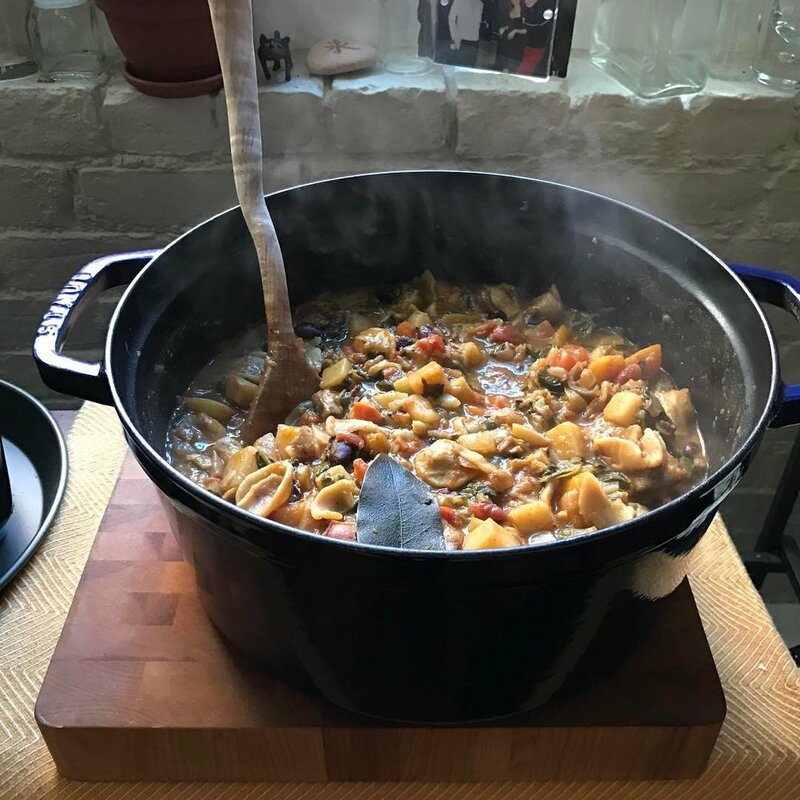 In this class, we will prepare dishes such as Seafood and Sausage Gumbo, tender Vegetable Minestrone with shaved Parmigiano, and hearty Chicken Cacciatore. Not only will you learn tricks for making perfectly spiced soups and stews, you will have leftovers to take home to eat for lunch the next day or freeze. Please bring a couple containers to transport your soup creations home. A $20 food fee is included in the course fee.